When we first started talking to business owners and nonprofits about lowering their transaction fees, we were surprised to discover that many of them had no idea what they were currently paying to accept credit cards. So, we offered to take a look at their current merchant statements to find out. What we found was even more surprising: most of the statements showed that these merchants were paying a lot more than the percentage rate they were originally quoted for credit cards. 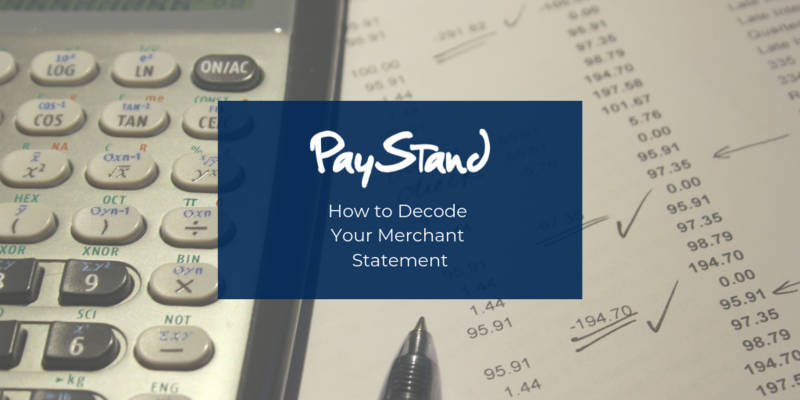 It took some digging to figure out the effective rate being paid, however, because merchant processor statements are universally inscrutable. 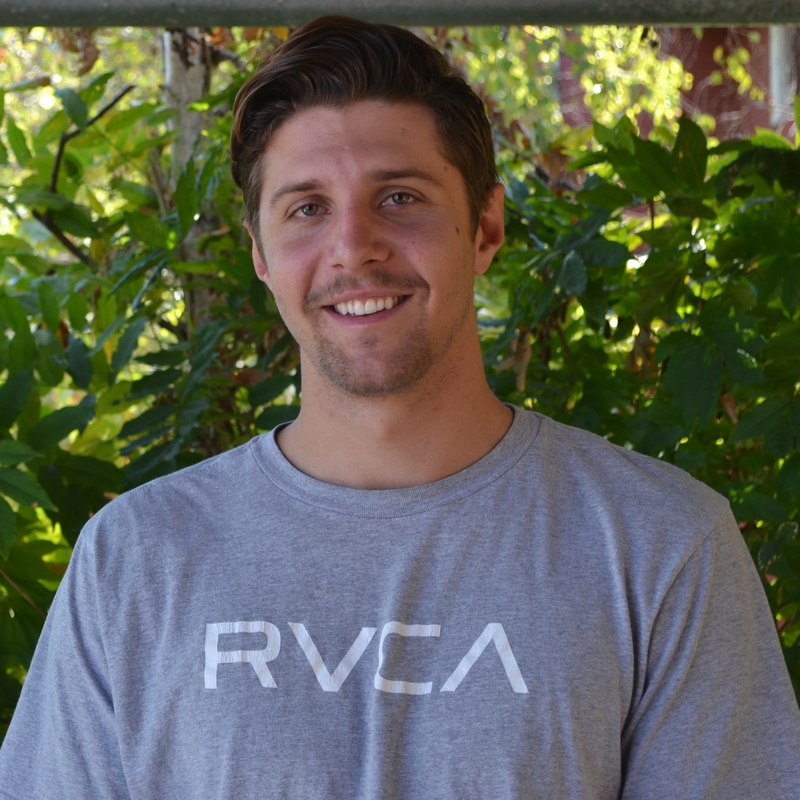 to accept credit card payments on their WooCommerce-powered site, but he was dealing with dropped orders and high shopping cart abandonment right before the holiday season. 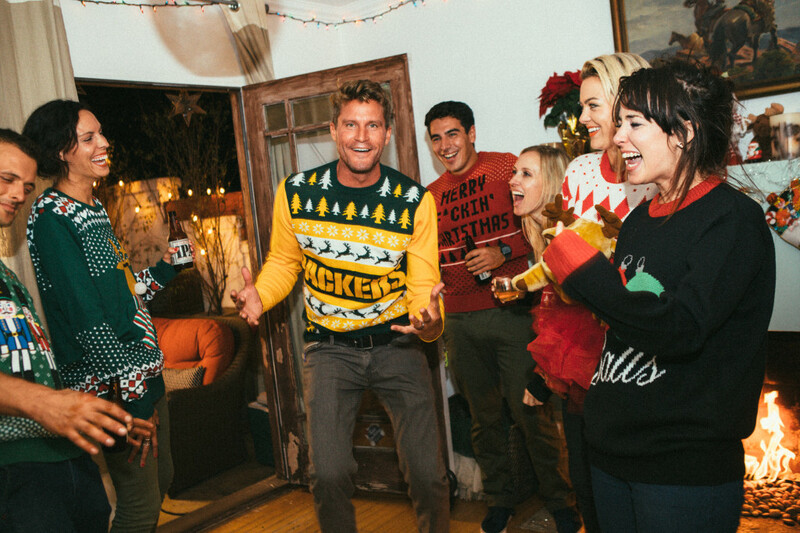 They knew they were about to get slammed on Black Friday, when a segment featuring their most outrageous sweater was set to air on the Kelly & Michael Show. Online, you have only a few ways to express yourself. Your customers need to know what your company’s message is and how awesome your products are. A copywriter is going to help use language to fully describe your product and make it very appealing to prospective buyers. 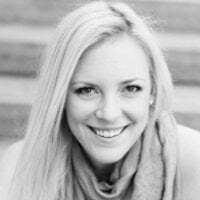 Because a buyer cannot pick up the product and look at it, you need to harness the power of words to bring the ecommerce buying experience to life. A good copywriter can effectively communicate to your customers, persuade them to purchase, and differentiate your small business from the competition. Like the copywriter, a good photographer can go a long way in getting sales for your online shop. Detailed product shots can help your customers explore your product and see if it fits their needs. Pay attention to good lighting, and use high resolution images on your site. You need your products to look their very best. In addition to product photos, including styled “lifestyle” shots of your products in use and/or people enjoying them help sell. Show your customers what their life could be like if they purchase a product from your small business. You want excellent product photos to go with your excellent copy. Both factors can make or break a sale. The easiest way for any small business to lose a sale after your copy and photos are all set is to have an awful check-out experience. Make sure your shopping cart works properly and the purchase can be completed in a few clicks. Ensure your customers trust putting in their payment information and that they feel secure through the process. If checking out is overly complicated or broken in any way, you are likely to lose the sale and the customer. The highest rate of shopping cart abandonment takes place at checkout, so it is essential to keep this process smooth. Testimonials are very powerful tools that allow your existing customers to help you get more sales. Small businesses don’t often have nationwide recognition, so they need to rely on social proof to validate their offering. 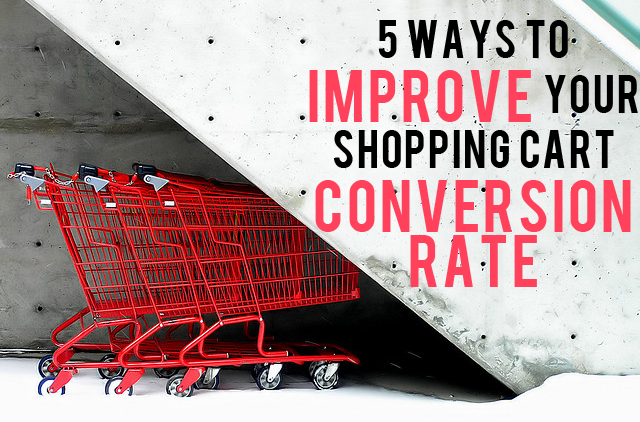 Try to capture positive feedback from your customers and ask if you can feature them on your ecommerce site. Include their testimonial on your product pages. You can even go further in eliminating purchasing hesitation by including video testimonials. If you optimize your ecommerce efforts by utilizing the above tips, you will save yourself time, increase sales, and improve your bottom line. PayStand loves small business. Check out how our next-generation payment processing will change your life. When you’re running a small business, having a solid web presence opens up a lot of doors for you. You’ll find a whole new set of customers on the internet, some of whom might even live on the other side of the world. When you set up an ecommerce website for your small business, anyone who has access to the internet can buy from you. Armed with a global audience and competitive prices, you can increase sales exponentially. The key here is making sure you reach your target audience in the right way. Getting your small business’s name and products in front of the right people is necessary to increasing conversion rates and bolstering sales. You can go about internet marketing in two distinct ways. Outbound Marketing is very similar to what is traditionally referred to as marketing. In this type of marketing, you reach out to your current and potential customers via emails, advertisements, and calls. With this marketing method, small businesses often cast a large net, and see if they get any “bites” or replies from interested parties. Depending on the call to action set forth in the outbound marketing material, this could include making a purchase or getting on the phone with a sales agent. By contacting people directly using outbound marketing, you can educate them about your offering and entice them to buy. There are many advantages to outbound marketing. Emails are easy to send out and don’t cost anything. Placing advertisements on websites can also yield positive results, especially if the websites are about subjects related to your products and services. For example, if you sell textbooks for students, then a website which provides students resources for getting into colleges would be a good place for you to advertise. Inbound Marketing is currently all the rage when it comes to internet marketing. With more robust analytics online, inbound marketing is proving more successful now that the results are measurable. Unlike outbound marketing, inbound marketing doesn’t involve reaching out to the customer. You instead create a good web presence and valuable content so that when a customer hears about you and tries to find out more about your product or service, they are likely to find all the information they need. Setting up an informative website, helpful social media pages and a blog all support your inbound marketing efforts. Inbound marketing tends to appeal more to customers because they are not overtly being sold anything but are merely given all the information they need to make up their minds about a product or service. Inbound marketing requires a well-thought-out approach. You have to identify your audience, create materials that speak to them, and track the results of who you attract. The beauty of inbound marketing is that the marketing material you create is evergreen, it can live on and keep attracting customers quarter after quarter, year after year. 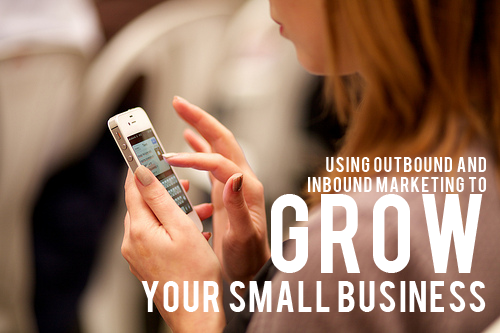 Most small businesses use a combination of both inbound and outbound marketing. The optimal marketing mix for your small business depends on your industry, consumer demographic, geographic region, and countless other factors. As you build your small business, you’ll be able to find the right blend that works best for you. As an entrepreneur, you get to guide the direction of your company and establish a company culture you believe in. One determining factor that will strongly influence culture is your leadership style. Do you savor the thought of ruling with an iron fist or do you want an egalitarian company where everyone has a voice? 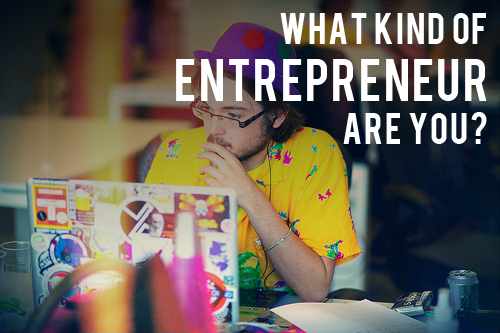 Below are five distinct management styles for entrepreneurs. You may lean strongly towards one leadership style, or embody characteristics from a few different styles. There are pros and cons to each, but understanding your distinct style can help you increase the positive effects and minimize the negative aspects. Which management style suits your personality and creates the type of company culture you believe would fit your business? The director leadership style is perfect for entrepreneurs who like to take control of their environment. If this is your preferred style, you generally like to do things your own way and are unlikely solicit input from others. One advantage of this unilateral management style is that tasks can be completed faster according to your exact specifications, but your employees may feel stifled and undervalued. Do you like to empower others? Entrepreneurs that embrace the idea of serving others tend to hire talented people and trust their employees are competent enough to do their job without micromanaging them. This management style encourages everyone to take the initiative and serve their customers. Task-oriented entrepreneurs are great at noticing the details. If you gravitate towards this type of management style you may frequently delegate key roles and tasks to other employees while coordinating every aspect of the project. If you have an eye for detail and love to set firm benchmarks, this may be the ideal management style for you. Employees that are also task-oriented will flourish in your company. An entrepreneur that favors a flat management style will encourage employees to make decisions based on their own knowledge. They will also specifically assign employees to different projects according to their expertise. This type of management style will allow the collective whole to create an atmosphere of innovation in your company. A democratic leadership approach focuses on gathering everyone's opinion and reaching a mutual consensus before making a final decision. If you would like to get insight from others, this is a great option. However, it should also be taken into consideration that your decision making process will be dramatically slower. Overall, only you can decide which management style works best for you and your company. Based on your personality type and entrepreneurial spirit, you probably already identify with one or two management styles. PayStand loves entrepreneurs. We are all about supporting you and your bottom line in order for your venture to succeed. Learn how our next-generation payment processing will change your business forever. Online gifts to nonprofits are growing faster than any other category of giving. Each year, more gifts, and a larger proportion of all charitable giving, all come from online donations. 1. Ask, and ask clearly! We all know the first step to getting a donation is asking. Use your social media sites, as well as your website, to frequently ask for support. Incorporate the asks into news articles, service descriptions, and event invitations. Use every opportunity to remind donors that they can easily give online to your nonprofit at any time. Once someone has decided to give a gift online, don't make it hard for them to do! Potential donors don't want to spend their time clicking through your website to find out how to give to your nonprofit. Add a "Donate now" button to every page of your website, making it easy for donors to give. Embed your donation system directly onto your website, instead of sending donors to a third-party site. Studies have shown nonprofits with branded donation pages receive up to seven times more gift dollars than organizations that use generic pages. Just like any other ecommerce website, your donation page should include a direct and urgent call to action. Remember, your goal is to persuade that donor to give right now. Ask for a donation "now" or "today," and include an explanation of how their donation will make a difference right away. For example: "Donate today, and change a child's life tomorrow." Just like with a direct mail campaign, offer the donor choices about how to give. Do they want to give a one-time gift, or a monthly gift? Offer other choices such as donation amount ($10, $25, $50, or $100) or named donation levels (Silver, Gold, or Platinum sponsor). With PayStand, your donors can contribute using their credit card, echeck, or ecash. The average donor is exposed to a nonprofit seven times before they give. Use your entire web presence including Facebook, Twitter, Tumblr, and more to invite potential donors to support your nonprofit. With Paystand, you can take your use of social networks one step further - we provide you with Facebook application that enables donors to give directly on your Facebook page. When you receive an online gift, congratulate yourself! You've shown your donors how easy it is to give online. But remember, the relationship has just started. Send a prompt "Thank You" and add the donor's physical and email addresses to your mailing lists. Follow up in 3-6 months with another ask to renew their gift. Are you ready to ramp up your nonprofit fundraising? Contact Us today to find out how Paystand can help your nonprofit. Our platform provides everything you need to accept donations anywhere, at anytime, on any device, from your website or social media pages. Political fundraising is a great effort in and of itself. Between running your campaign and rallying supporters, donations take center stage to keep the wheels turning. You know that you must have a way to accept political donations online, but when you take into account the hassle and costs of traditional online payment processors, you quickly realize you're not only losing time, but losing valuable donation money to fees and charges for every single donation that is made. You don't have to be the president of the USA or even a presidential candidate to realize that fees don't equal a successful campaign. Luckily, new technology in online payments is emerging and easing the pains of accepting online donations. In May, the Federal Election Commission made Bitcoin an acceptable and legal form of currency for campaign donations. Candidates are now adding Bitcoin to their campaign fundraising efforts. Bitcoin doesn't carry the same fees as credit cards, thereby allowing more of the donation to go directly to the cause. PayStand enables political candidates to accept next-generation payments and makes online fundraising easier than ever. As a result of the recent FEC ruling, political candidates are opening up their campaigns to receive Bitcoin donations. New Hampshire is currently leading the currency revolution - ranked as having the most Bitcoin transactions per capita of any state in the US. About a dozen state Senate candidates in New Hampshire are now able to accept Bitcoin donations by incorporating the PayStand platform on their donation web pages, for the first time making it easy for supporters to make a next generation Bitcoin contribution alongside legacy credit card methods. Eileen Landies and Kevin Avard are two candidates on the cutting edge, and have adopted next-generation payments for this election cycle using PayStand. 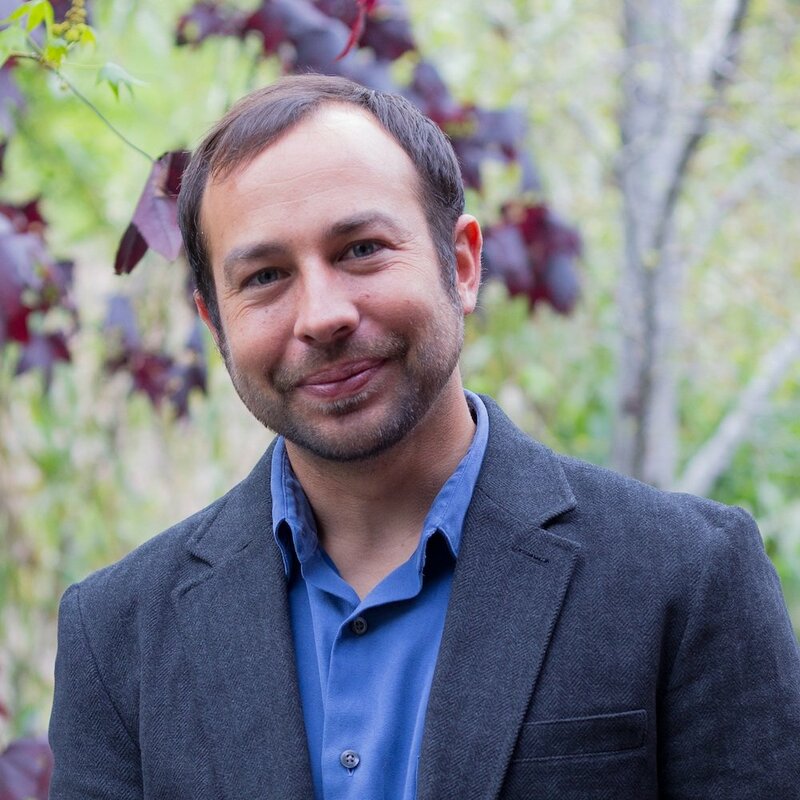 "The candidates we've endorsed understand that Bitcoin represents the kind of market-driven innovation this state needs to succeed in today's global economy," said Aaron Day, chair of the RLC of New Hampshire. "PayStand offers a comprehensive, turnkey solution for candidates -- and political organizations like ours -- dependent on donations for victory." Ensure donations support your campaign, not the credit card companies. By accepting Bitcoin or other ecash for political donations, candidates are able to bypass some of the fees that are typically charged with online payments. Credit card companies and banks take a percentage of every transaction that takes place. This is not the case with Bitcoin. By giving supporters the option to pay with Bitcoin, they can rest assured their hard earned money is actually going toward the cause they're passionate about. Supporters that agree with what you stand for want to help move your message forward. They may be chomping at the bit to hand over their funds to you, but you need to make this process easy for them. Giving your supporters an array of payment choices helps set your supporters up for success. Give them an easy way to donate, on a trusted platform, with different payment options to suit their needs. By accepting donations through eCash (Bitcoin), eCheck (ACH), and all major credit cards, PayStand is the first and only payments service to easily allow digital currency and more traditional payments all at the same time. When you can easily show your supporters exactly what the fees are that are associated with each payment option, you empower them to make an informed decision. If they prefer the ease of use of a credit card, they can do so, and they understand that part of their donation is on it's way to the bank, not your campaign. If your supporters are on the cutting edge, they can use their Bitcoin wallet to send ecash your way and know 100% of that donation will support your cause. The convenient integration and one-click checkout is helping PayStand bring Bitcoin to the mainstream. 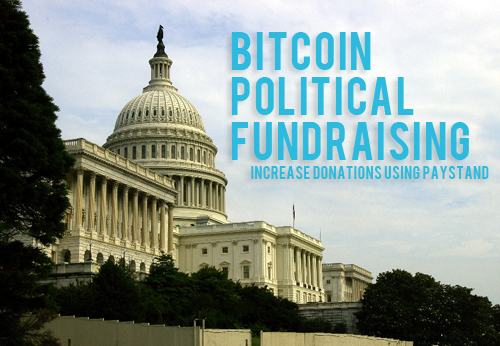 The seamless Bitcoin donation process makes PayStand a very easy all-inclusive donation platform for candidates. The solution's intuitive payment interface works with any website, social network, or mobile application and eliminates the need for extra programming, additional software, or a separate merchant account. Empower your supporters to get their funds to you quickly, from anywhere. To increase political donations to your campaign and accept Bitcoin for political fundraising, get started in 5 minutes or give PayStand a call at (800) 708-6413. UPDATE: This PayStand news was featured in the Wall Street Journal! In the past, entrepreneurs found that deducting their home office could be fairly involved. There were two methods to get the write off, and both were followed by a lot of paperwork. Starting in the 2013 tax year, the IRS launched a simplified method. 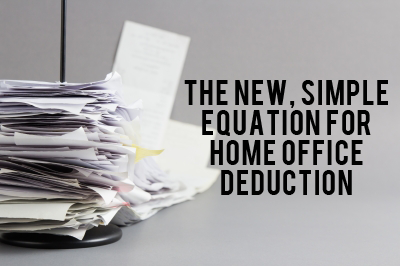 Before we discuss the new, simple equation for home office deduction, make sure you aren’t calculating it using one of the old methods. The first method was considered the simplest of the two. In this method a person counts the number of rooms in their house, then divides the office by the number of rooms. Bathrooms, closets, and garages do not count as rooms in this measurement. For example, if a homeowner has 4 rooms (living room, kitchen, bedroom, and spare room) and the spare room is an office, then 1/4 of all the home's expenses could be counted. The second method does not use number of rooms, but rather square footage. This was a preferred method to those with large home offices. In this method a person counts the same rooms, but then measures the square feet of each. In the end, a person simply take the total square feet of the home office and divide that by the other rooms. Using these two methods a taxpayer would then keep track of all their mortgage, utility, and upkeep costs. They would then be able to request deductions for a percentage of these based off one of the two models above. In 2013, the IRS launched a method that is much simpler. Now a home office can simply be measured by square feet and multiplied by $5 per square foot, up to $1500. Using this method no utility, mortgage, or upkeep costs need to be tracked. Other rooms do not modify this amount. This allows a much easier method to track the deduction. This new method also favors homeowners who have a poor office to home ratio. For example, those with a small office in a larger home or those with homes that have many small rooms. For all three of these methods, a home office must be used exclusively and regularly for work. A kitchen table will not work as it is not exclusive, while a dusty desk in a small cramped area may not meet the regularity requirement. The latter requirement is less stringent, as work may be occurring away from the home. For example, a plumber may have a home office, but much of his time is spent working with client emergencies. Furthermore, if the entrepreneur is a part time employee and the employer doesn't have office space for them, a home office may be deducted. If the employer does have an office for the entrepreneur and the entrepreneur is simply taking some work home, that may not apply.As always, if you are not sure if you can deduct a home office, please speak with a tax professional. Contact Us today to find out how Paystand can help entrepreneurs. Our platform provides everything you need to accept donations anywhere, at anytime, on any device, from your website or social media pages. 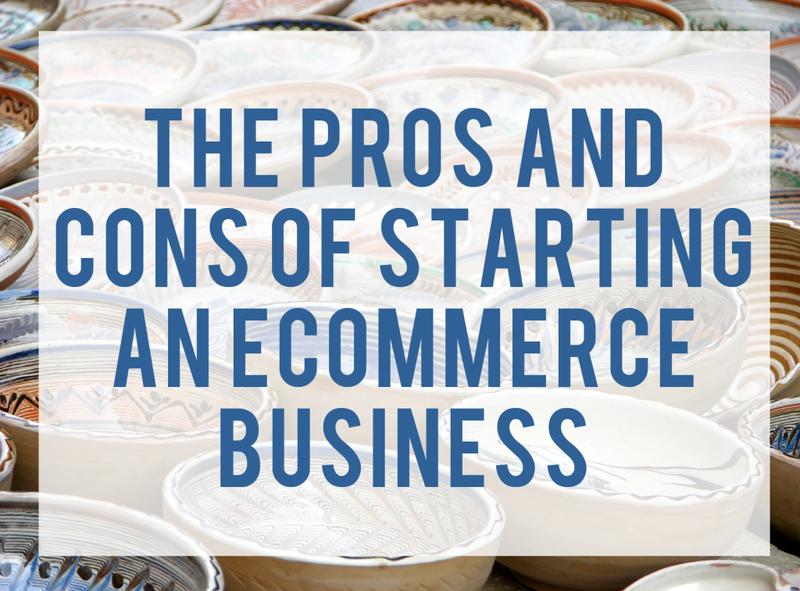 Everything has its pluses and minuses and starting an online eCommerce business is no exception. 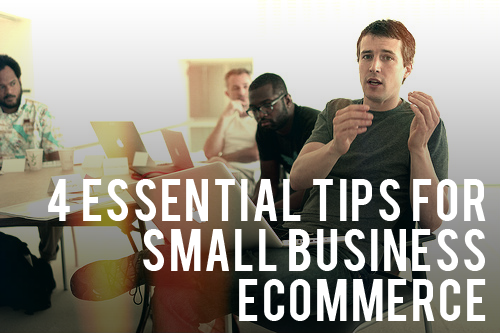 eCommerce can really pay off for your business, but it does demand your time and commitment. Having a good understanding of what you're getting yourself into is essential, so we explain some pros and cons, below. You can start an online business without having to get venture capital or taking out a business loan. If you are willing to learn how to set up your own eCommerce store, then you are left with just the monthly cost of hosting your website, which is between $5 and $25. There will also be a yearly domain name renewal for your website, which can be as low as $5. When you first set up a new online store, the internet will not yet know that you exist. To attract customers from across the web, you will need to do some marketing to bring in traffic to your eCommerce site. You can attract customers from search engines, social media sites, other websites, and more. Doing this on your own will take a lot of work, potentially quite a bit of money, and even more time before you see results. One way to speed this up is to hire services to help you with social marketing, SEO, email marketing, etc. Being online means your customers aren't limited to your local geographic area. They can come from any country in the world. There are over 2 billion people using the Internet and the number is growing every year. Increasing your traffic will involve finding ways to either beat your online competition or finding ways to sidestep them. One of the best ways to sidestep them is to find a way of making your brand unique so that it stands out from the thousands of other businesses. This will likely require some very clever marketing tactics. One option to avoid managing inventory or shipping is to do drop shipping. There are businesses who maintain large inventories and will ship physical goods to any address you specify. When a customer buys an item from your store, you then place an order with the dropshipper and have the item shipped directly to your customer. eCommerce has the potential to be a very large pro for a business, given that time and investment in the system are monitored closely. There are also a number of ways of dealing with the con arguments made in this article. As you gain more experience, they will no longer be quite the barrier they seem to be when first starting out. Here at PayStand, we are huge fans of eCommerce. PayStand can give your new business a jump start when you take advantage of our full eCommerce solution. Contact us today for more details.